​​A big thank you to you Kym, Dante, Soke Tony Ball and all the trainers today for their time and effort. ​Absolutely wonderful people (everyone). Learnt heaps. It was great to mix and train with other styles. Thanks to everyone. Learnt a lot and had fun. Thanks for a great day. I was very impressed by the way everyone just pulled together and learned from each other. There was no politics and no BS, everyone just got together and had fun. I was honoured to take a small section for you and would love to do so again at the next event. Yes, I wish to thank you sincerely for all your effort in making us feel welcome and in encouraging the group in their interest in Koshiki. I enjoyed my time at the event on Sunday, what a friendly, positive group of people they all are. Everyone joined in to ensure everyone else learned and interacted in a friendly, supportive environment. Whether or not they embrace Koshiki in the future, only time will tell, but regardless, I wish everyone all the best in their particular journey in budo. ​Had a great day at the IBF training day today. Thanks goes out to Kym, Terry, Dante, Leo and George for taking the time out to make a great day. I thought there was a solid turnout and everyone seemed to really enjoy getting a look at a variety of differing approaches to the grappling arts. ​Thanks must go to the tireless efforts of Kym Reid, Terry Riches and the IBF. They work very hard to bring martial artists together in an ego-free environment to share their skills without want of profit. $100 would be good value to train for four hours under expert instruction, however the IBF only asked for $10 to cover hall hire, plus pizza and drinks were provided at the end. 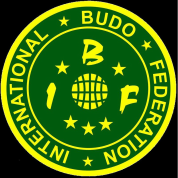 The IBF’s noble efforts have allowed many martial artists to expand their horizons and to forge new friendships. Thanks must also go to the instructors who volunteered their time, free of charge. In particular thank you to Ivan McWilliams and Terry Riches who travelled from interstate to teach at this training day. ​​"I can highly recommend joining the IBF. The IBF is ideally placed to assist and advise anyone involved in the martial arts whether you are an individual practitioner or run a school of any style. They can help with providing competitions for all levels and varieties of martial arts. They hold seminars where you can gain exposure to other styles from member schools in an environment that encourages freely sharing ideas, training methods and techniques. If your style - like mine - traditionally does not have a well structured program that can provide gradings for yourself or your students, they can help systemize your gradings process, something that is important to many of your prospective students. Being part of the IBF means you are joining a large international organisation adding credibility to your school. As a member of the IBF you have access to all this assistance but at the same time, they don't interfere with your school or system."